As a kid and teenager, I never got laryngitis, which was a fairly major disappointment to me. It always seemed like it would be pretty cool to lose one's voice. It is such a noticeable symptom, sure to elicit sympathy from all. No one would doubt that I was really sick. People would tell me to get on the couch and take it easy with some tea and honey. I would not get guilt trips about skipping school or work, because it was so obvious how sick I was. This is why it is interesting to me that in the last 5 years or so, I have gotten something akin to laryngitis every year. What happens, I think, is that I get all congested and it settles in my throat, making it difficult to speak. This happened just this weekend: I woke up on Saturday with a scratchy throat and by Sunday morning, I could barely talk. The irony, in my mind, is that I only started having larygnitis-like symptoms when I quit teaching and became a stay-at-home mom, precisely the point where sounding like I had smoked 3 cartons of cigarettes in 2 hours, was of no benefit to me at all. Have you ever called in sick to work and wished you sounded sicker so your boss would really believe that you weren't faking it? Well, this cold that I get is perfect for that. I sound so awful, much, much worse than I feel, and when someone hears me, they get really concerned and assume I am sicker than a dog. It is the perfect cold for getting out of work and completely convincing your boss that there is no way you should come in and infect the whole office. The other great thing is that congestion and fatigue aside, I don't feel that bad. It's just your run-of-the-mill cold. What a waste. These symptoms don't impress my kids, who still insist that I carry them on my back and cater to their every whim and fancy. They give me odd looks here and there when I speak, and once while reading a book to him, Danny asked me to quit whispering, but other than that, my cold is not even on their self-absorbed radars. I have no one to call in to, saying that I am taking a sick day. No one to tell me to take it easy and get well soon. No one to encourage me to stay in bed and watch TV and not exert myself. All these fabulously sick symptoms and no one to impress with them. Where were these colds when I worked full-time and could have really put them to use? What cruel irony! This morning we have all been really lazy, lying around in bed, snuggling and staying warm under our comforter. I got up to get Charlotte breakfast and then went back to bed. The kids joined us at different times and Danny especially enjoyed the snuggling. After Charlotte ate her breakfast she came in to tell us that she had a dirty diaper. Bil got up to change it and as he was doing so, Danny exclaimed loudly, while watching Bil, "What's up with all that poop?!?!?" Because we laughed so hard, Charlotte has now decided to repeat, "What's up with all that poop?!?!?" every five minutes. I have noticed that when one is pregnant, normally taboo topics or comments are suddenly acceptable. Do you know what I mean? Under normal circumstances, at least in the U.S. the average woman would never comment on another woman's weight gain. Weight loss, maybe, but not gain. Of course, weight gain in pregnancy is totally normal, but that doesn't account for the incredibly insensitive remarks I have heard made. When I was pregnant with Danny, a woman at church routinely pointed out to me how enormously huge I was getting. And seriously, she said it in an almost accusatory way. It was so bad my friend's husband actually stood up for me. And if a man can sense that the weight comments are insensitive, they must be pretty bad, I think. The funny part? This was a rather large woman herself who I am sure would be completely offended if anyone made disparaging remarks about her size. When I was pregnant with Charlotte, a man at church told me I should have dressed up for Halloween as a basketball. When else would this be an acceptable comment? I also had my mother and aunts make fun of how much I was eating when I was pregnant with Danny. The thing was, I wasn't eating any more than usual, but because I was pregnant, all of a sudden, my eating habits were under scrutiny. Then, when I protested, my aunt brushed my feelings off by saying it was the hormones. This is my biggest complaint. I absolutely hate when every feeling I have is chalked up to pregnancy hormones. And it is almost always other women who have made this remark to me. Just the other week, I was at church and Danny was acting crazy. It was totally disheartening to me, because it was such unusual behavior for him; I had thought we had finally gotten this part under control. I was tired and frustrated and very stressed about what we should be doing to best help him. After Bil took him out of the chapel, I cried a bit. I was just overwhelmed. I have been dissatisfied with his OT and wondering what we should do about it, wondering what sort of discipline we should be using, etc and wondering if I was missing some important aspect of his treatment. As I was indulging in a bit of a cry, a friend came up behind me and said, "It's hard dealing with this when you are pregnant, isn't it?" I said, "It has nothing to do with me being pregnant." She replied, "Well, it doesn't help having all those pregnancy hormones in your body, right?" This is not the first time in this pregnancy that she has made these sorts of remarks. What interests me, though, is that this woman would probably go ballistic if her husband assumed she was PMSing because she was upset about something. Why, all of a sudden, just because I happen to be carrying a child, are all my feelings completely invalidated? This makes me think of a comment a friend of my husband's made when I was pregnant with Danny. Earl said that after all of his wife's pregnancies, he has finally learned that the safest thing you can say to a pregnant woman is, "You look great." I have to agree that this comment would be a welcome respite from the insensitive jibes. I know I sound bitter, but actually, I am mostly just really curious why the normal social rules fall away once people find out you are with child. What is it about a pregnant woman that encourages people to not filter their comments? And hasn't it occurred to any of these people that pregnant woman could use some emotional TLC? Someone should do a sociological study of this. Seriously. This might sound like a strange request, but does anyone have any suggestions for breakfast ideas that are high in protein? I am sick to death of eggs and low-fat waffles and peanut butter! If I don't eat some protein in the morning, I am so hungry within 2 hours that it probably would have been better if I hadn't eaten breakfast at all. Take this morning, for example, I had honey nut Cheerios and by 9:00 (when I am in the middle of waiting in an interminably long and slow checkout line in Wal-Mart) I become so ravenous I am tempted to gnaw on the Uno's frozen deep-dish pizza in the cart. So, any suggestions for yummy (preferably easy) breakfasts loaded with protein? 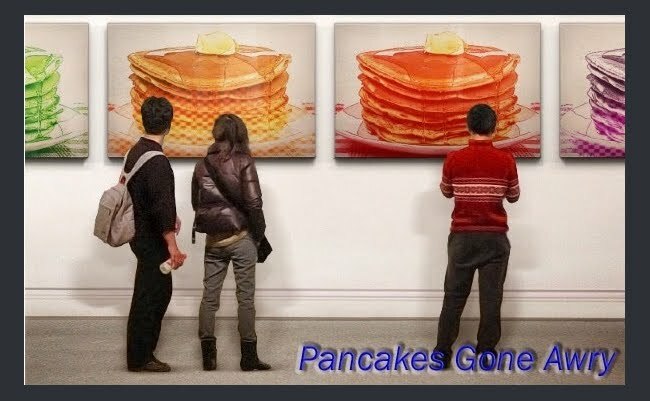 Even better, anyone willing to come to my house each morning and prepare said breakfast? Pretty please? at what point do you have to let go? I just got off the phone with my sister and am feeling a bit blue. She is really struggling and I wish I could do something to help. 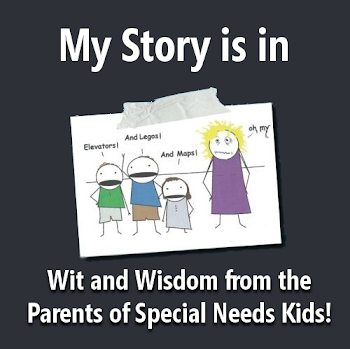 Her son also has SPD, along with motor planning problems, auditory and visual processing problems, etc. He has made enormous progress, but now that he has started first grade, he is struggling with school. My sister is understandably overwhelmed: she works full-time as a social worker, has two kids, takes care of the house and all the requisite mothering responsibilities. What is really getting her down, though, is not just the problems her son is having now, but what he might potentially struggle with in the future. She has read articles that discuss the many emotional problems kids with learning disabilities deal with and the fact that they often turn to alcohol, drugs, promiscuity, and even crime. My sister is beside herself with worry. And now I am a bit worried myself. I tried to reassure her, but she really wasn't in a place to accept what I was saying. I think she just needed to vent. She claims that she doesn't want to be comforted, because she is afraid that will lead her to complacency and she feels like she cannot let her guard down for a moment or her son may not get all the help he needs. I am different in this respect; I need to feel like there is hope and that all the therapy and activities we do with Danny make a difference. I don't like to feel that disaster is inevitable. I know it is true that Danny may in the future struggle with self-esteem issues due to his sensory problems, especially if he has problems in school. And of course that concerns me. But, then again, I have struggled with self-esteem issues my entire life and I did quite well in school. Luckily, I never did anything truly self-destructive as a teen, though I definitely have my share of regrets (mostly in the form of who I chose to date and how I let them treat me). I know plenty of people who had no learning problems, people who life actually came really easily to, who ended up destroying everything with drugs and crime. So, I really don't think this is specific to kids with learning problems. Truthfully, it scares me to death that one of my children could end up turning to drugs, but I have to believe that I can make a difference. I may not be able to control their choices, but I know that all I do as their mother now affects their choices in the future, right? Right? Am I naive to believe that if I love my children and do my very best to show and teach them that they are loved and worthwhile people this will help? I just have to believe that if I teach them that God loves them and that they can turn to Him they will be ok, even if they make heartbreaking decisions. If I teach them to respect themselves and others, and help them have opportunities to develop their talents, surely this will help them develop self-esteem. Maybe this is really old-fashioned, but I am clinging to the belief that if my husband and I spend a lot of quality time with our children, they will know they can come to us with their problems as teens. I am not totally deluded, though. I know there will be plenty they don't share with me, but I just cannot focus on that right now. I don't really know what my point here is. I guess I just needed to let some of this out after my phone conversation. I wonder what you think of all this. Really, these concerns must be pretty much universal. What mother doesn't worry that her child will do drugs or get mixed up in the wrong crowd and make devastating choices? What mother isn't concerned with helping her child develop healthy self-esteem? The question is when do you just have to have faith in what you are doing and that it makes a difference? When do you just have to put those terrible worries out of your head and focus on the joy of being with your child? I just got this month's issue of Parents magazine which my sister continues to renew for me because she is a generous soul. I have not yet found a tactful way to tell her to not bother. I have nothing against the magazine, but rarely does an issue give me any information that is pertinent to my family. Take this issue for example: in the food fun fast section, the authors claim that "you can hook your child on clam chowder or any kind of healthy soup simply by floating a tiny treat on top." I don't care if you float a life-sized Thomas the Train engine, my children will not touch clam chowder with a 10-foot pole. Danny never eats soup; in fact, he doesn't eat anything with competing textures: no chili, no stew, no soup, heck, not even ice cream with chunks. And don't think I haven't tried bribes and funny shaped foods, etc. but still the powers that be at Parents think they have my son's dietary problems solved. Please. In another section, they suggest playing Simon Says before bedtime to get your kid through his routine in a relatively calm fashion. The author says, "It is a relatively quiet game that won't escalate your child's energy level before bed." This is actually inaccurate in our case. Almost anything, but especially a game, can escalate Danny's energy level anytime of the day or night. I used to think the reason so little of the information in these magazines applied to my family because of Danny's sensory needs. I know that he is an unusual kid in a lot of ways and I can't expect the parenting authors to understand that. Still, it would be nice if these magazines had a decent article once in a while (more often than once a year, please) dealing with kids with special needs. I mean, there are probably more kids with special needs out there than we think. If you include kids with ADHD, speech delays, motor delays, physical handicaps, sensory problems, autism spectrum disorder, etc. we might actually have more special needs kids than "normal" kids. Anyway, after this issue, though, I am changing my opinion; these articles don't even help me with my "normal" child. I think that the info is just so generic that the advice may not work on a lot of children. In another article this month, the author confesses to being really lenient. So, she undergoes a "pushover mommy makeover." I have no problem, per se, with the advice, but more with the outcome. The author claims that becoming less lenient was a piece of cake for her and her son, who she previously claimed was walking all over her. She says, "Surprisingly, it's been kind of easy. Will listens when I tell him what the routine is...He doesn't fight me." Does anyone have a toddler who wouldn't fight them when the parents suddenly instituted rules? Because I would sure love to meet the kid. My daughter is a very spirited little girl, and like most toddlers, she wants her own way. When we lay down the rules (which I routinely am forced to do) she lets me know she is not happy about it. In her case, it could take me weeks to get her to really cooperate with a rule. In fact, we are undergoing this process as we speak, as I am forcing her to wear clothes when we leave the house and keep her diaper on when we stay at home. She doesn't like it, but after weeks of battling, she is finally giving up. Mostly. Maybe the real problem is the magazines try to appeal to everyone: parents of babies up until teenagers, parents who work, parents who homeschool, parents with easy kids, difficult kids, etc. How can there really be one formula that actually applies to everyone? Each kid and parent is so different. Still, I often find myself rolling my eyes at yet another attempt to get my kids to eat their veggies by disguising them as caterpillars. Do they really think my children will fall for that? Or like when I read about some cliche piece of parenting advice, like potty training tips, which I have tried for years, and which are not working on my son. I don't mean to bag on Parents magazine; it is just not the right fit for me. I do wish there were a good parenting magazine out there that dealt with unusual situations, not just the ideal, typical scenarios. You know, to help those of us out there who have kids who do crazy, unexplainable things. I had my first OB/GYN appointment for this pregnancy and I have a new doctor. My previous doctor does not deliver babies anymore and I am really disappointed with that. He is great and we have developed a rapport, somewhat aided by his great respect for English teachers. When he found out I used to teach writing, we had such a gratifyng conversation--sometimes I just like the people in my life to know that I did actually do something with my life other than birth babies. That I have an education, but that is just me and my insecurities about motherhood, etc. That's for another post some other time. So I was really nervous about this appointment, mostly because it was a new doctor and I had to have an internal, which is second on my list of hated things I have to do for my health (going to the dentist actually wins out in this one. Way, way worse, in my opinion, even than a pap smear.) I also realized I was worried about the whole weight issue. Before I got pregnant I was about 30 pounds overweight. I have struggled with my weight for my whole adult life, and some of my teenaged years as well. I have gone up and down, but mostly, I have had at least an extra 25 pounds to lose. As this was a new doctor, I didn't know if I would be lectured about my weight. I realized that what would be the worst for me about this lecture would be the shame I feel about being reminded that I have a weight problem. This realization was quite an epiphany for me. I had never realized that I feel really, truly ashamed about my weight. Ashamed. The more I thought about this, the more surprised I was. I don't mean to be melodramatic, but seriously, I feel like being overweight for me is something akin to having to wear a scarlet letter on my dress. This big, blazing reminder to everyone that I can't seem to ever say no to a bowl of ice cream. Does anyone else feel this way? Embarrassed that they have issues with overeating? Embarrassed that they can't seem to exert control over themselves? I had to seriously stop and lecture myself. I mean, yes, overeating is a bad habit with serious health consequences, but my gosh, it isn't as if I drink gallons of vodka while pregnant or have set up a meth lab in my house right next to my kids' rooms. It is just a weakness I happen to have, which I am working on, but which may always be something I struggle with. And more than that, it isn't who I am. My weight is not me. It is just one small part of me, a bad habit, a weakness. How is it much different than the person who while thin, subsists on junk food and never exercises, or the person who struggles to quit smoking or drinking? I think for a long time, I have allowed this weakness to define who I am, forgetting that I am so much more than this weight. I have weaknesses, strengths, weird quirks and am a mother, friend, sister, daughter, teacher, a woman who happens to have a few pounds to lose, not a fat woman who happens to be a mom, teacher, etc. I felt better after my little lecture and it turns out I love my new doctor. He did give me a short little lecture about my weight, but it didn't make me feel bad. He is hoping I will only gain about 15-20 pounds this pregnancy, which sounded totally doable. Until I got hungry. We'll see what we can do. I have resolved to continue exercising which Dr. C was so, so glad I was doing. But now when I exercise, it is actually to help with my emotions and depression, not to help me in weight gain. I have felt so much better when I exercise that I just have to do it if I want to stay sane with this pregnancy. When I exercise, I can actually get through the day without breaking down in tears three times, and without automatically assuming my life is about to fall apart. I have much better perspective when I take that time for myself and move. So, I will try to watch the food intake. And I will try to remember what I have been learning recently about emotional eating, which is that we do it for a reason. And it works for a while, too, which is why it is so tempting and difficult to stop. Eating makes us feel better, if even for a moment. I recently regained about 20 pounds that I had lost and finally forgave myself for it. I realized after reading up on emotional eating that it was my way to deal with some enormous stress in my life (my parents' break-up, my mom's cancer, and the possibility that Danny had autism). For some reason, knowing why I did it, really made me feel better. It was not just lack of self-control; it was the way I had learned over the years to take care of myself (interestingly, I also learned that the percentage of children of alcoholics who become emotional overeaters is quite high). I am trying to learn better ways to take care of my emotional needs, because as good as that mint brownie chocolate chip ice cream is, it doesn't really take away the boredom or stress or loneliness. It sure does taste good, though, and I am not ashamed to admit it. After my last ranting blog post, I decided I needed a little boost. So, Bil and I, after finishing the New York Times crossword puzzle, decided to watch the first (and only) season of Mr. T's I Pity the Fool, which Bil got for his birthday from my brother. It was just what I needed: a really good laugh. Also, some of you wondered if my emotions had anything to do with hormones and I can defintely attest to that. In spite of the hilarity of the video, I found myself actually choking up in parts, especially in the episode where Mr. T teaches some teenagers to respect their mother. Bil and I have a strange fascination with Mr. T. It all started when Bil found a VHS copy of Be Somebody or Be Somebody's Fool for a quarter at a garage sale. It was like we had found a rare treasure, which actually isn't too far from the truth; the video sells for something like $30 on ebay. Anyway, this youtube clip is from that video and it never fails to entertain me. If any of you feel like the role of mother is underestimated in our society, rest assured that Mr. T cherishes and honors mothers. In rap form. With 80s style backup singers. And lots of gold chains. Check it out! I am officially three months pregnant as I type this. Maybe I should put a warning here: if you hate hearing people complain or worry, this might be the post to skip for you. Despite this being a planned pregnancy, for some reason, I have been struggling with it quite a bit. Basically, I am scared to death about everything and I cannot seem to let it go. I am actually wondering if I need to talk to my doctor about this, but I feel so silly. I mean, I should be ecstatic, right? I have two beautiful children who are doing reasonably well (aside from Char's aversion to clothing and delight in playing with her excrement and some hiccups in Danny's development, etc.) and who are exceedingly healthy. My husband has a pretty good job that is relatively stable (he is an engineer in the automotive industry which has taken quite a hit with this recession, but his company is doing ok) and I am able to stay at home with my kids and still manage to pay the bills. Still, I am scared to death that we will not be able to handle this. I guess actually I am scared that I won't be able to handle it. Bil will be fine, I'm sure. I am struggling so much trying to help Danny with his transition to school and dealing just with his normal discipline issues. We have not been very diligent with his therapy exercises, partly because I am so nauseated and exhausted all the time, I barely can make dinner. I wonder how we will manage when we have a newborn who requires so much time and energy. How will I squeeze in Danny's therapy then when I can barely do so now and I am actually getting a full night's sleep every night? We prayed about the decision to have another child and both Bil and I got the same answer, that we should have one more. I really struggled with this, not because I don't want another child, but because I feel like I am already dropping the ball in so many ways with the two I have, it feels almost negligent to add another innocent child to the mix. I don't mean to be melodramatic, but I just seriously screamed at my daughter this morning because she has been crying all the time lately. This morning we had a battle over her clothes, as usual. She doesn't like wearing them. At all. And it was chilly this morning and I could hardly take her to Wal-Mart in just a diaper (and I would really be lucky if she even kept the diaper on!). After wrestling the clothes onto her little body, I just lost it while she cried and cried. I mean, if I can scream at a little girl because I can't take the crying, who am I to have another baby, who I am sure will cry quite a bit? And please don't tell me that my next baby will be an easy one because God only gives us what we can handle. I really don't believe that right now. Plus, Charlotte was supposed to be my easy kid: she is a girl, can talk amazingly well and does not, as far as we know, have SPD or any other disorder. Yet, she is so not easy. She really isn't. She is wonderful and smart and funny and beautiful, but she is really stubborn and so far we have found no discipline techniques that actually work on her. Time-outs are a joke and spanking barely even registers. Anyway, I know I am digressing. I know that these things are all manageable, but right now nothing FEELS manageable. Does that make sense? What I think bothers me the most is I know I have made the right decision in getting pregnant. So, why do I feel nothing but doubt and despair? Where is the peace? I have prayed about it and I do feel better--for a while--but it doesn't last. I guess maybe that means I need to pray more and complain less. I need to get a grip on this fear and worry that is consuming me. The problem is, I don't really feel like praying. Right now, I have a hard time believing that God understands what I am dealing with and maybe even that God cares about me. Maybe this has something to do with how emotionally unavailable my earthly father is. When I called to tell him I was pregnant, he was so busy watching TV that he never heard me actually say I was pregnant. He found out from my brother and thinks I never told him. Sadly, this sort of thing is not at all unusual. Don't get me wrong, I do believe in God and I know He loves His children. I have no doubt he loves you. It's me that I am not sure about. Sometimes, the spoiled child in me comes out and I think that if He really loved me, He would take all the problems away. I know that is not at all how it works, that if He did actually take all the problems away, it would be a bad thing. And I also know that my problems are so small potato compared to so many other people's. And that actually makes me feel worse, more guilty, like I have no right to be scared and sad and overwhelmed. I just need to snap out of it. Bil and I have been throwing around the idea of moving, mostly in order to live closer to some better qualified OTs for Danny. For some people, it may seem like a no-brainer, but I am struggling with this decision and figuring out what is best for my family. Obviously, I want more access to better therapy. That really is on the top of my list, but I also have to consider finding a school district that is as supportive as the one we are now in. Factor in that we will need to find a place that has a pretty low cost of living since I still plan on staying at home and things get more complicated. I also worry about uprooting my kids and to be honest, myself. I feel like after 5 years here, I finally have a couple of really good friends here and I so hate to give that up. I am scared of how long it will take to find friends in a new town. Plus, my kids have friends here, too. I won't bore you with all my fears and my list of pros and cons. I guess my question is, how do you sift through it all and arrive at a reasonably sound decision? I have prayed about it, but feel at this point, like I don't have enough information to make a choice. I mean, Bil has been contacted by a head hunter in Wisconsin, but so far the companies she contacted have not made any interview appointments with Bil yet. Does anyone want to share with me their experience with these sorts of decisions? Sometimes I miss the days when I was single--making decisions then was so much less fraught with anxiety. I had only myself to worry about. It was only my life I could screw up, no one else's. I am sure we will work this out, but I am curious whether anyone has any advice. Me: Danny, are you ok, sweetie? Danny: (sniffling loudly) Yes, momma, I am ok.
Danny: No, momma, I am NOT sad. Actually, I am happy. He just keeps repeating in a mournful tone how happy he is to go to school. What is up with that? Does he say that because he thinks that is what I want to hear? Is someone brainwashing him in school? I don't want him to think he can't share his true feelings with me. Could he possibly be being sarcastic? It definitely runs in the family.... I am perplexed by this turn of events, but at least I am not sobbing on the way home anymore, so I guess I should just let it go. Lately, I have actually received a couple of blog awards from some friends. I haven't posted any of them, because I wasn't sure how to get the icon on my site and I was a bit overwhelmed with school starting for Danny, etc. And if the truth be told, I guess I don't really feel all that deserving. I mean, I just write about my feelings, which are rarely profound. Also, some of the awards mandated that I nominate 7 blogs and I couldn't come up with 7 without awarding the same people who awarded me and who had already been awarded the same prize. Does that make sense? But, Elizabeth from Three Channels had given me another award and has threatened bodily harm if I don't post it. Just kidding--no bodily harm was even mentioned. But, I thought I would go ahead and put it up. It's kind of fun to get awards, after all.... I am not used to it, having rarely won any in school. 5. 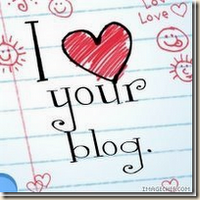 Leave a message on the blogs of the people you’ve nominated.6. Enjoy your award! So, here are my nominees. Yes, I know that some of these wonderful bloggers have just received this very same award, but these are the blogs I love, so I am making up my own rules. I have been friends with beckbot for more than 10 years when we met in Hong Kong. She has helped me through many challenges and has seen me at my absolute worst (including a really ugly incident involving a Chinese kid running me over with his bike). Hers is the first blog I ever visited and it was after reading her blog that I decided to try my hand at blogging. What I most love about her blog, besides the really good writing and wonderful wit is the variety of topics that she writes about. Reading her blog has really broadened my horizon: it has introduced me to new writers, artists, singers, and "The Office" (for which I will forever be grateful!). What I especially love about Amy's blog is her superb vocabulary and that I feel like I am sitting down chatting with her when I read her posts. Amy and I became friends when she lived in my town and we attended a parenting class together. Sadly, within 5 months Amy moved to Missouri when her husband was transferred by the Army. Reading her blog makes me feel like I am still a part of her life. And it makes me laugh. Another major reason I enjoy it, is she has been chronicling her weight loss, which has reached about 50 pounds, last I checked. What an inspiration. I stumbled upon this blog when I discovered the fascinating world of food blogs. I couldn't resist checking out a blog devoted to cakes. I mean, really, who doesn't love cake? Along with amazing photos and recipes, this blog is also full of humor. The Crusader has recently started her own award, the CAFTA (Cake’s Achievement in Film and Television Arts) which she bestows on any movie in which cake plays a role. Check her out. You will laugh and drool over all the cakes. Susan happens to be my first cousin's daughter, so I don't know if that makes us second cousins once removed or what. Doesn't matter, I just consider her my cousin. We reconnected a couple of years ago when her son was just diagnosed with SPD (Sensory Processing Disorder), which is what Danny has as well. 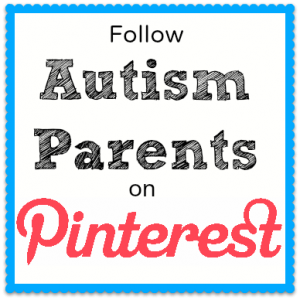 Susan's blog is really entertaining and full of lots of great tips for kids, like craft ideas and sensory diet activities. Kia is a friend I discovered through Susan's blog and I am so grateful. She also has a son with SPD and I sometimes feel like we are living the same life, only unfortunately she is far away in Canada. I would so love to have her over for cake and herbal tea and let our two boys play. I have a feeling that we would hit it off as much as our two sons would. Oh well, I will have to settle for reading her highly entertaining and incredibly authentic blog instead. Yes, this is the same Elizabeth who has nominated me, so I don't know if I am breaking the rules here, but rules are meant to be broken, right? This blog is so funny. Elizabeth is the mom I wish I could be if I had more energy and was a lot more laid back. Her kids are incredibly precocious and the stories she shares just crack me up. Stone Fox is someone I admire tremendously, even though I have never actually met her. She lives in Asia with her three children, two of whom are under 2! She recently adopted a daughter from China. I love that she is open with her faith as well. Her comments on my blog have really given me peace of mind and reminded me that I should be praying more. Thanks, Stone Fox!